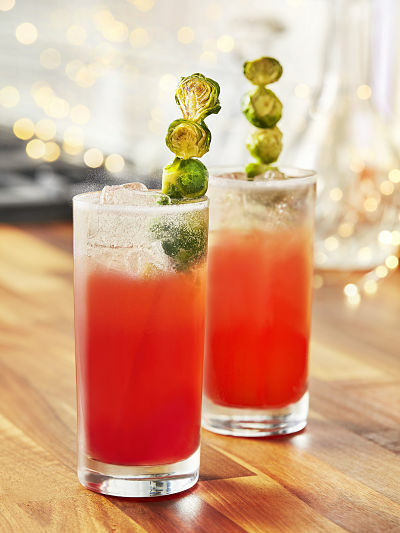 A festive gin cocktail with Brussels sprouts. Yes, you read that right. Here’s a festive gin cocktail with brussels sprouts. Some strange drinks recipes drop into my email box and I ignore many of them. But as this is a) gin and I like gin and b) it includes sprouts and I’m in the minority of the population who likes sprouts and c) prosecco – is in there too, then I thought well why not share the Christmas love. Over to you if you think you’re brave enough (or crazy enough) to make this and serve it to your besties …. Fry the par-boiled sprouts with the drizzle of honey until caramelised. Take out of the pan. Pour the cranberry juice and honey into the same pan, boil and cool. This is now the cranberry syrup. While your syrup cools, thread your sprouts onto a bamboo skewer. Slice them in half if you want. Pour ice into two tall glasses, divide the Gordon’s gin, lemon juice, lime juice, the cranberry syrup between the two, and stir. This festive gin cocktail is one of a handful of recipes by Smith & Sinclair who’ve created some seasonal #FestiveSpirits by working with brands such as Smirnoff, Johnnie Walker Red Label, Gordon’s and Captain Morgan. Here’s a flavour of them: Johnnie Walker Wrapped In Blanket – the cocktail is garnished with a bacon blanket; The Captain’s Mince Pie Freakshake – erm yes, a cocktail using Captain Morgan Original Spiced, with mince pie syrup, and you drink through a straw stabbed into a mince pie; and Smirnoff Bloody Mary with all the Trimmings which uses dry packet stuffing mix as a garnish. 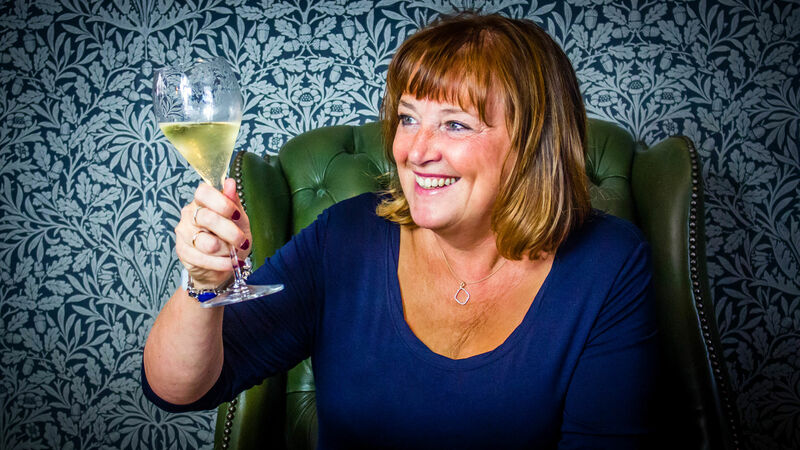 Select bars and restaurants in the UK will be serving the Cocktails of Christmas including London’s M Restaurant, Ben’s Canteen, BIRD and Cardiff-based restaurant ETC. Yak, just Yak. I like sprouts too – but nooooooo!!! I don’t think you eat them. You just stick ’em in ……. Isn’t there a world shortage of brussel sprouts at the minute?